Rent Windhill Ranch | Corporate Events | Wedding Locations, Event Spaces and Party Venues. Our lovely, rustic wedding venue is one of the best in Texas, and it can be the place you share the first day of the rest of your life with family, friends, and the love of your life. 400 acres Hill top ranch with oak trees, waterfall pond, red angus cattle and chickens. Beautifully landscaped patio with trellis is perfect to enjoy refreshments and catch a sunset. Rustic spacious barn for your ceremony and refreshments or dinner. Windhill was one of the first outdoor wedding venues in DFW. For 9 years, we have been dedicated to creating loving and picturesque weddings. Imagine walking down the aisle surrounded by beautiful flowers with your groom waiting at the other side. Our lovely, rustic wedding venue is one of the best in Texas, and it can be the place you share the first day of the rest of your life with family, friends, and the love of your life. With both outdoor and indoor locations; outdoors you can hear birds chirping and gaze at the green pastures dotted with grazing Red Angus cattle. WindHill is a beautiful landscaped wedding location. The ideal outdoor wedding venue in the DFW area for making memories that will last a lifetime and beyond. Our facilities at this amazing and unique rustic wedding venue are perfect for intimate ceremonies or larger celebrations up to 200 people Texas style. Our DFW barn wedding venue is rustic and vintage, the inside walls of the barn are 2 very old train cars that give it such a fun feel. Just finished taking 1800 sq.ft. of loafing shed and remodeled it into “the station” – area. Attached to barn with bar, living area, bathrooms, dressing room, large screen and sound system. There is a rustic old truck in front of the barn under the oak tree with a sign saying“Just Married”, the perfect spot to take photos to capture your memories. You can find many unique things in Wind Hill Ranch, which is like non-other, plus our desire to do all we can to meet your entire needs and exceed your expectations of any barn wedding venue in Texas. We even thought of your guests from out of town and have prepared a beautiful Inn with many rooms on the ranch for your guests (the bride’s parents and grandparents) who are from out of town. So if you are looking at indoor and outdoor wedding venues in the DFW area with rustic charm look no further. 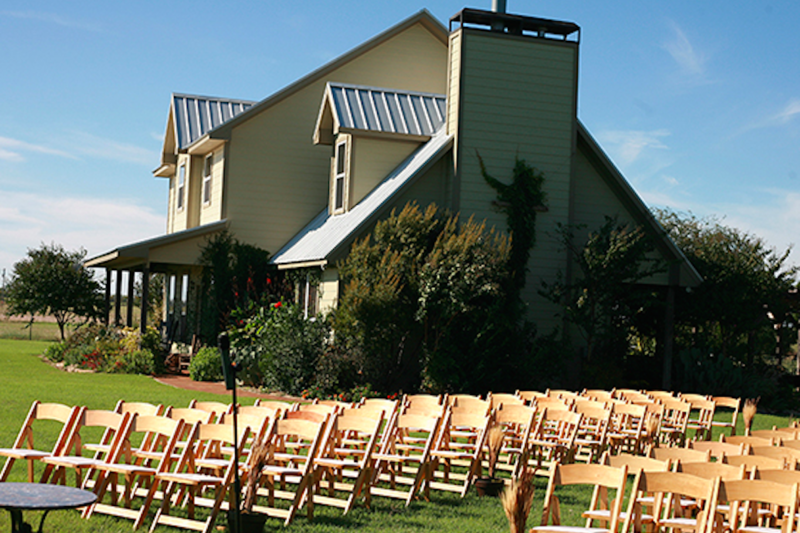 At Windhill, we are prepared to exceed your expectations of any barn wedding venue in Texas. This ranch wedding venue in DFW is dedicated to providing top notch service. It is our personal touch and commitment to sustainable living that fuels us as we use that passion to bring your dreams to life. Your outdoor wedding at our beautiful Texas venue will be what many wish and dream of. As far as rustic wedding venues and barn wedding venues go in Texas, you need look no further. Windhill is the single best option for DFW outdoor and indoor wedding venue needs. Because of our commitment to quality, Windhill wants to provide you with top notch service. You can be certain that out of all the wedding venues in the DFW area that this beautiful, Fort Worth style outdoor wedding venue values your big day as much as you do and we will do everything we can to make your wedding incredible.